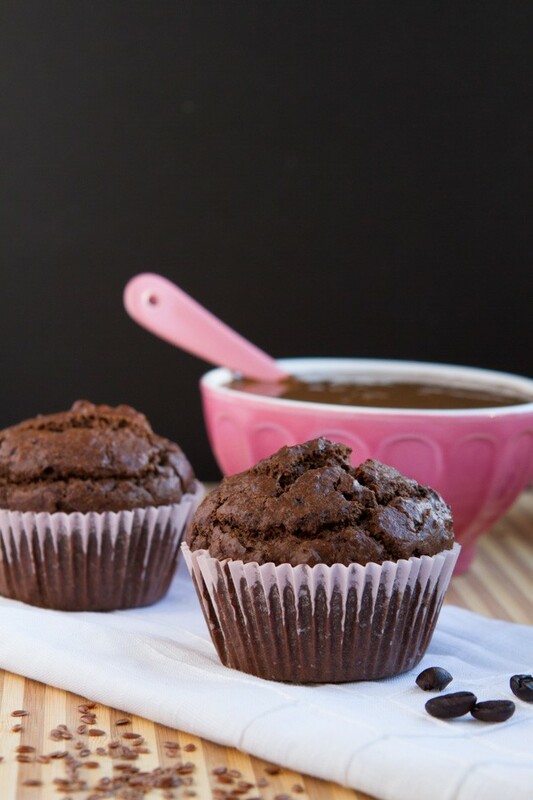 Flourless grain-free, sugar-free, low carb muffins made with just flaxseed. Preheat oven to 350F and line a 12-count muffin tin with 12 unbleached muffin liners. Add wet ingredients to a bowl and stir until fully combined. Set aside. Add dry ingredients to a bowl, stir until combined. Add to wet ingredients and mix with a spoon until combined. Drop spoonfuls of the batter into prepared, lined, muffin tins. You can go about 85% to the top. Slide the completed muffin tin into preheated oven and bake for 22-24 minutes, or until tops crack and a toothpick inserted comes out clean. 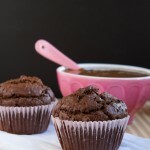 These muffins go from goopy to perfect in a matter of moments in the oven. 22 minutes was the perfect time for me. Remove from the oven, remove (immediately) from the muffin tray and place on a cooling rack. Slather with Espresso Fudge Protein Almond Butter or coconut oil. Eggs: I have not tried to make this recipe egg-free, however I do think it’s possible. Perhaps starting with replacing the eggs with homemade flax egg is a good starting point. 1 egg = 1 tablespoon finely ground flaxseed combined with 3 tablespoons warm water. Allow to sit for 3 minutes before using in recipe. Ground Coffee: if you are sensitive to, or do not want to use coffee in this recipe, feel free to omit. I used Bulletproof Decaf Coffee. Xylitol: if xylitol has hurt your stomach in the past, it’s likely that you were using corn-based xylitol. This birch-sourced xylitol is Non GMO and I’ve never had a problem with it. If you don’t want to use xylitol for this recipe, coconut sugar would work well, too. However, using coconut sugar would increase the carb-count of this recipe.